SYOSSET, Long Island (WABC) -- Police arrested a man after they said he tried to take an officer's gun while he was being arrested. David Abbondondolo was charged with two counts of assault, attempted robbery, criminal mischief and criminal contempt of court and resisting arrest. 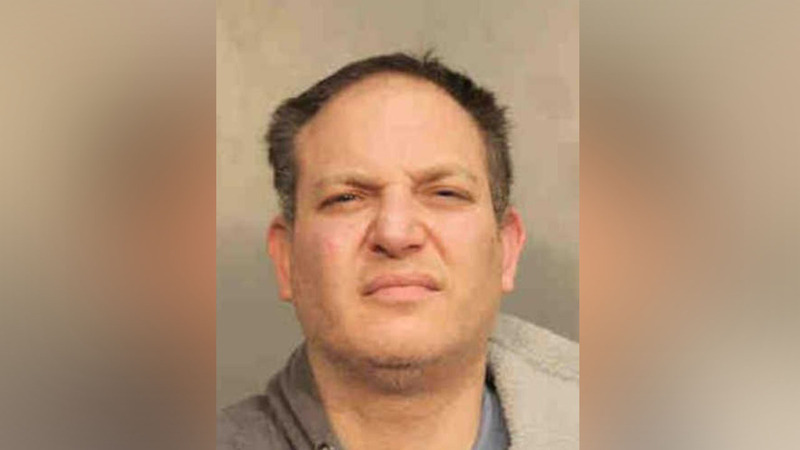 Around 1 p.m. Friday, according to the Nassau County Police Department, officers responded to a complaint of a domestic disturbance at a home on Berry Hill Road home in Syosset. Police said Abbondondolo had violated an order of protection and broke a woman's cell phone. While investigating, Abbondondolo, 43, arrived at the home. As officers tried to arrest him, officials said he began to fight with them, and tried to take one officer's gun from its holster. The suspect was tasered and arrested. One officer's chest was hurt and the other hurt his hand. Both were treated at hospitals ad released. He was scheduled for arraignment Saturday.